See also: Image galleries of sculptures, at Wikimedia Commons. Art museums displaying works by Vito Acconci. Alexander Archipenko. Works by Alexander Archipenko in art museums. Antoine-Louis Barye. Sculptures in art museums. Hans Bellmer. Art museums holding the works of Hans Bellmer. Hans Bellmer dolls, an online gallery. Gian Lorenzo Bernini sculpture on display in art museums. Gian Lorenzo Bernini. Wikipedia entry. Gian Lorenzo Bernini. Metropolitan Museum of Art. An essay. David Booker, Australian contemporary sculptor. Constantin Brancusi. Works by Brancusi on display in art museums. Benbow Bullock, a sculptor in metal from the San Francisco Bay Area. Alexander Calder exhibitions. Kinetic sculpture. Alexander Calder. A gallery of images at Wikimedia Commons. Paper sculptures by Danish artist Peter Callesen. Canova, Antoni. Museums displaying works by Canova. Anthony Caro. Works by Anthony Caro in art museums. Carpeaux, Jean-Baptise. Jean-Baptiste Carpeaux. 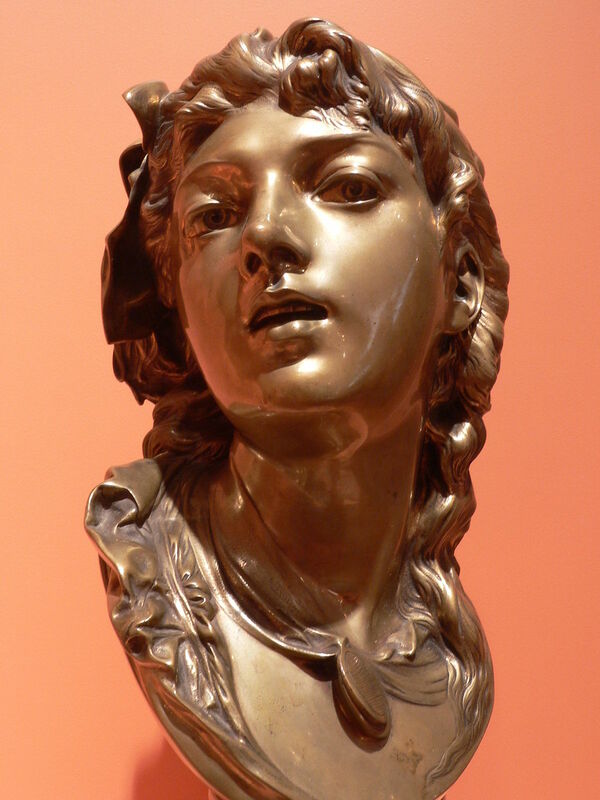 Museums displaying works by Carpeaux. Jean-Baptise Carpeaux. An image gallery. Cragg, Tony. Tony Cragg. Centre for Contemporary Art, Warsaw. Day, Paul. Paul Degas. Sculptures by British sculptor Paul Day. Despiau, Charles. Charles Despiau, French 20th-century sculptor. Dimopoulos, Konstantin. The Konstantin Dimopoulos website. Donatello. Art museums showing works by Donatello. Eliasson, Olafur. Olafur Eliasson homepage. Flaxman, John. John Flaxman. Art museums displaying works by John Flaxman. John Flaxman. National Portrait Gallery, London. John Flaxman. The Tate Gallery, London. John Flaxman. The Royal Academy, London. John Flaxman, drawings at The Courtauld Insitute, London. Gabo, Naum. Naum Gabo. The Tate Gallery, London. Gaudier-Brzeska, Henri. Henri Gaudier-Brzeska, French cubist sculptor. Giacometti, Alberto. Alberto Giacometti. Art museums displaying works by Giacometti. Fondation Giacometti; a Giacometti database. Antony Gormley, Wikipedia entry. A biography and list of artworks. Emilio Greco. Art museums online. Sean Henry. UK sculptor who creates representational human figures in painted bronze for urban environments. Jean-Antione Houdon. Art museums displaying Houdon sculptures. Jean-Antione Houdon. National Gallery of Art, Washington D.C.
Steret-Gittings Kelsey. Bronze dance and ballet sculptures by Steret-Gittings Kelsey. Avi Kenan, Israeli-born, living in Belgium, is a sculptor of bronze statues with a spiritual dimension, expressing his concerns for world peace and tolerance. Sol LeWitt. Museum of Modern Art, New York. Lipchitz, Jacques. Art museums, sculpture gardens. Aristide Maillol. Maillol Museum, Paris. Marino Marini online sculpture gallery. Marino Marini. THAIS image archive. Michelangelo Bunarotti. Information resources and webpage links. Michelangelo. Vatican Museums, Sistine Chapel. Henry Moore Foundation Homepage, Britain. Henry Moore exhibitions. Henry Moore. Works by Henry Moore on display in art museums. Jeffrey Maron is an artist with a long history of exhibits in New York City and elsewhere. He is the recipient of three grants from the National Endowment for the Arts, as well as a Fulbright-Hayes Grant to Japan. Elie Nadelman. ROGallery, New York. Noguchi, Isamu. Isamu Noguchi Garden Museum. Isamu Noguchi. National Museum of Art, Washington D.C.
Isamu Noguchi. Art museums holding works by Noguchi. Isamu Noguchi. The Design Museum, London. Sir Eduardo Paolozzi, Wikipedia entry. Sir Eduardo Paolozzi artworks at Art History Net. Nicola Pisano. An image gallery. Nicola Pisano. An image gallery from The Web Gallery of Art. Antonio Pollajolo (Antonio di Jacopo Benci). Sculptures. From THAIS. Jean-Jacques Pradier. An index of works by Pradier. Martin Puryear. Art museums, public spaces. Martin Puryear. National Gallery of Art, U.S.
Mark Richards is regarded as one of the UK’s finest exponents of portrait sculpture. Alabaster Annunciation at the Rijksmuseum. Rodin, Auguste (WebMuseum image gallery). Rodin Museum, Philadelphia Museum of Art. Rodin. Cantor Center for Visual Arts, Stanford University. Rodin. Musée d’Orsay, Paris (enter search terms). Rodin. An image gallery at Wikimedia Commons. Rodin. Rodin Web, a complete overview of Rodin collections. Rodin, Auguste (Rodin index and Rodin images). James Turrell Documentary film, PBS. Booa Vaadia bronze and stone outdoor sculptures. The sculptor’s homepage. Rachel Whitehead. Lynn Barber interview. Holocaust Memorial. Article from Guardian Unlimited. Slipstream, the sculpture at Heathrow Airport.